The NCPTA Diversity & Inclusion Committee is proud to host the Diversity & Inclusion Awards Breakfast that offers guidance and resources to address diversity & inclusion in your PTA. The breakfast will include guest speakers and information about the local unit and council level winners and their outstanding efforts in their PTA. This is a ticketed event at a cost of $15.00). Your attendance is welcomed and highly encouraged. On Saturday, May 18th during the NCPTA Convention’s Lunch Break, The NCPTA Special Education Committee is proud to host a “Special Education Needs & Resources Networking Session” for special needs families, educators, vendors, and community partners. Grab your lunch and join us for conversations, idea sharing, and more. There is no fee for this event. Your attendance and participation are welcomed and highly encouraged. 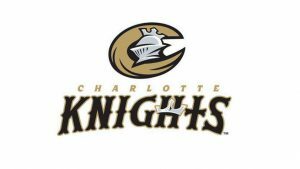 Part of the experience and excitement of the 100th NCPTA Annual Convention is the North Carolina PTA partnership with the Charlotte Knights at the BB&T BallPark. This event will showcase the great city of Charlotte and allow PTA members to socialize and network with local/state PTA members, the State Board of Directors and staff. In addition, there will be fireworks immediately after the game. The event is a ticketed event at the cost of $14.00 (Home Run Seats). Click here to purchase tickets. Your attendance is welcomed and highly encouraged. Download and share the Save the Date Flyer with your members! Click here for the Spanish version.